Based in the heart of Shrewsbury, Shropshire and servicing the west midlands Soundscape Studios is equally professional in appearance and service provision. The studio is designed to cater for both the professional; requiring a facility within which to achieve high quality recordings, and to the beginner; providing a safe and supportive learning environment in which to learn about modern music technology. The studio supports artists through all phases of their project by providing additional services that include production CD duplication or replication graphic design/artwork mastering, hiring of session musicians, and promotional services. 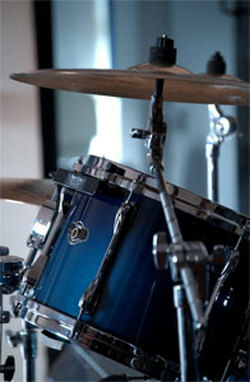 The studio also offers P.A hire for live gigs and mobile recording for any kind of audio performance. With a team of technicians from Drum Technicians to front of House Engineers, and we can give you that pro sound and enhance your gig or event. We can cater for anything from small events to large corporate events.